This electric aqua is not quite a metallic. It covers in one coat, deepens in 2. 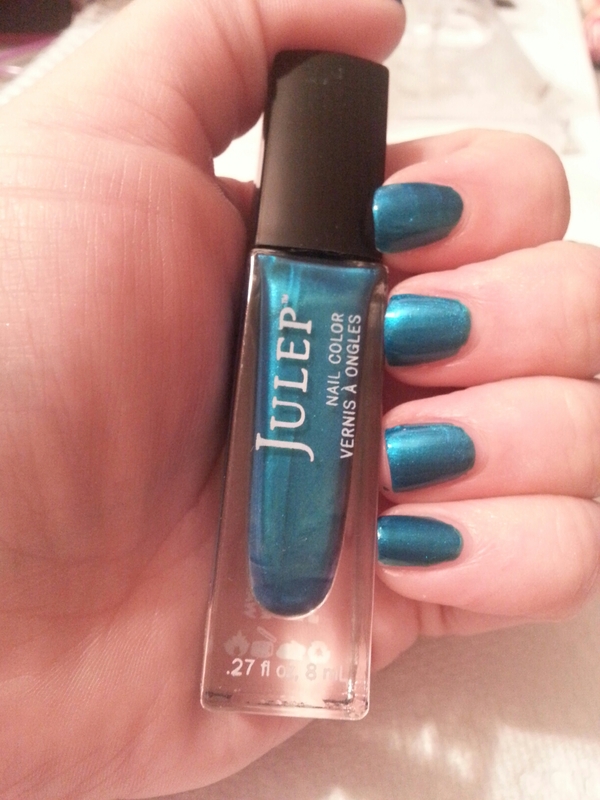 This entry was posted in Nail Polish Collection and tagged blue, julep, metallic, nail polish, swatch, swatches on January 23, 2016 by Mel. This gold metallic is opaque in 1 coat and is suitable for stamping. This entry was posted in Nail Polish Collection and tagged avon, gold, metallic, nail polish, swatch, swatches on January 10, 2016 by Mel. This light blue metallic is opaque in 2 coats. This entry was posted in Nail Polish Collection and tagged formula x, metallic, nail polish, purple, swatch, swatches on January 7, 2016 by Mel. This silver came from this year’s Wet & Wild holiday polish set. It’s not the best silver I’ve ever used, but it’s not bad. It does need two coats for opacity. 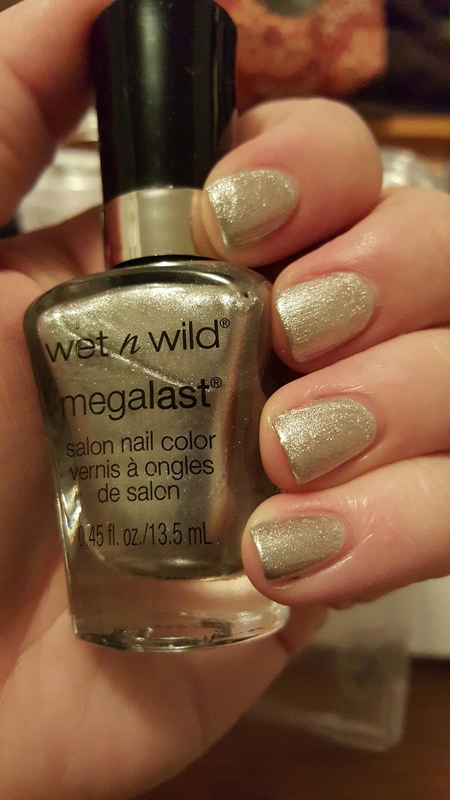 This entry was posted in Nail Polish Collection and tagged metallic, nail polish, silver, swatch, swatches, wet & wild on December 23, 2015 by Mel. Another robot metallic – this one a pretty lavender. Opaque in 1-2 coats. This entry was posted in Nail Polish Collection and tagged indie nail polish, indie polish, metallic, nail polish, purple, rainbow honey, swatch, swatches on December 3, 2015 by Mel. Rainbow Honey’s robot-themed metallics remain my favorite from the brand. This one was opaque in 1-2 coats and lasts more than two days on me. I might experiment with stamping to see how they do, as I’ve had success with metallics before. 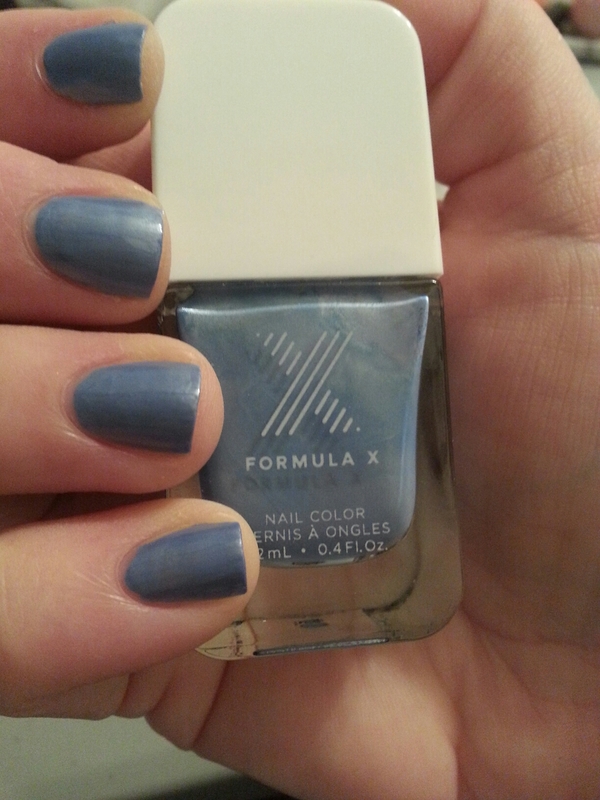 This entry was posted in Nail Polish Collection and tagged blue, indie nail polish, indie polish, metallic, nail polish, rainbow honey, swatch, swatches on December 2, 2015 by Mel. Lily is a frosty almost metallic peach. It has a tendancy to be brush stroky, but you can get it opaque in 2 coats. 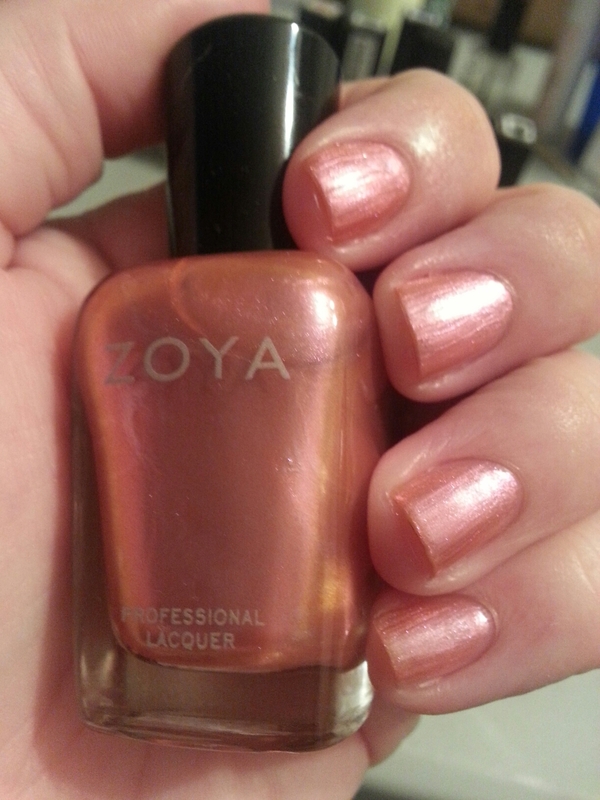 This entry was posted in Nail Polish Collection and tagged frost, metallic, nail polish, orange, swatch, swatches, zoya on November 27, 2015 by Mel.